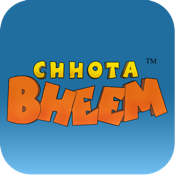 Chhota Bheem, India's most watched 2D Animated TV Series is about a nine year old boy Bheem, and his friends. The adventures are set in the mythical land of Dholakpur, a kingdom in ancient India. Chhota Bheem is the winner of Golden Cursor best animated TV series award and it is the only show in India competing with the best of the world. Now download and watch in Hindi & English!